6:13 Gideon’s language here indicates a weak theology. The very chastisements of God were proof of His care for and presence with Israel. 6:13 Excuse me, my lord The word adoni is the generic term for “lord” and the appropriate address to an authority figure (e.g., Gen 18:12; 23:6; 32:5), not the divine name. 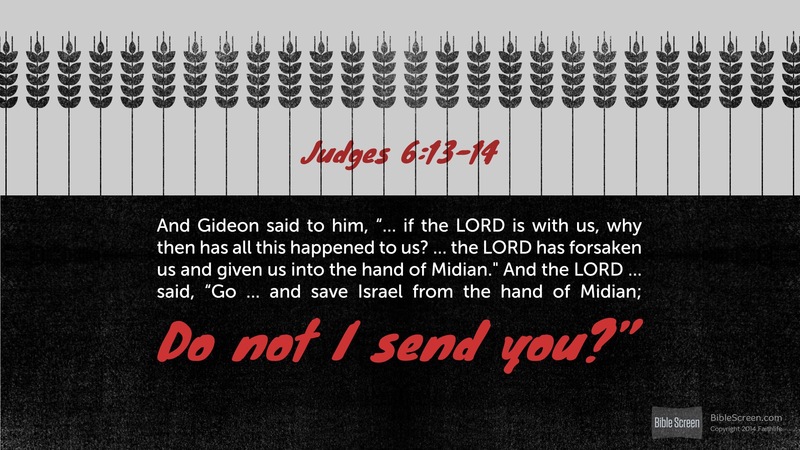 all his wonderful deeds Gideon contrasts the miracles his generation has heard about with Israel’s current situation, which to him proves God’s apathy (Psa 44:1–3, 9–16). Gideon apparently knows the real reason for Israel’s oppression—articulated by God’s prophet in Judg 6:8–10. 6:14 And Yahweh turned to him The text uses the divine name, Yahweh, meaning either that the text identifies the Angel of Yahweh (vv. 11–12) as Yahweh or that Yahweh now joins the discussion. The narrative may suggest the presence of two supernatural figures in vv. 21–23. But if the Angel of Yahweh is here identified as Yahweh, Yahweh Himself must be presumed to be invisibly present, observing the discussion but not revealed until vv. 21–23. In the case of two distinct supernatural beings (the second view), the disembodied Yahweh enters the scene here. 6:13 why. This question is central to the Book of Judges. The Angel did not answer the question, since the prophet had already answered it (vv. 8–10; Deut. 28:47–52; 29:24–27; 31:17–18). Some of the psalms ask a similar question (Ps. 44:20; 74:9–11). 6:14 Go in this might of yours. See v. 34; 7:2, 7. God would be his strength, though Gideon did not yet know it. This entry was posted in Daily Devotional Guide, Verse of the day on February 7, 2017 by Truth2Freedom. Whether you eat or drink, or whatever you do, do all to the glory of God. When you confessed Jesus as Lord, you did so to the glory of God. Now whatever else you do—even the most mundane functions of life such as eating and drinking—should be focused on the glory of God. That should be the underlying attitude of your life. Jesus observed His focus in this way: “I honor My Father…. I do not seek My own glory” (John 8:49, 50). You will grow spiritually when you follow Christ’s example of ssubmit your life to Christ’s lordship, you will be characterized by His humble desire to glorify the Father. God’s holiness is evident in everything He does, particularly in creation, the law, judgment, and salvation. The whole purpose of the Old Testament is to reveal the holiness and righteousness of God, who is utterly perfect and pure. In fact, the Hebrew word for “holy” is used more than 600 times in the Old Testament to indicate moral perfection. What are some areas in which we see God’s holiness? First, we see it in the original perfection of His creation: “God saw all that He had made, and behold, it was very good” (Gen. 1:31). All of creation was in tune with God’s holy character. Later God laid down His righteous, moral law for Israel. In it He gave rules about worship and society. He prescribed penalties for murder, adultery, and stealing. He condemned lying, coveting, and many other sins. There were many rules, but they revealed a God who is infinitely right and without error, flaw, or tolerance for sin. The law showed God’s character: “The Law is holy, and the commandment is holy and righteous and good” (Rom. 7:12). God’s holiness will ultimately be demonstrated “when the Lord Jesus shall be revealed from heaven with His mighty angels in flaming fire, dealing out retribution to those who do not know God and to those who do not obey the gospel of our Lord Jesus. And these will pay the penalty of eternal destruction, away from the presence of the Lord and from the glory of His power” (2 Thess. 1:7–9). His judgment on sin is a reflection of His holiness; He must punish it. Perhaps the supreme expression of God’s holiness is seen in sending His Son to die on the cross (cf. Rom. 8:3–4). God paid the highest price, but it was the only price that could satisfy His holiness. Jesus Christ is Himself “the Holy and Righteous One” (Acts 3:14); so only He could “put away sin by the sacrifice of Himself” (Heb. 9:26). God’s holiness is so infinite, and our unholiness is so great, that only the sacrifice of the God–man could pay for the enormity of our sin. Suggestions for Prayer: Thank God that He sent His Son to die for our sins, so we could be “holy and blameless before Him” (Eph. 1:4). For Further Study: Some of God’s laws for the Israelites are given in Exodus 21–23. Note in particular the penalties for breaking these laws. What does this passage teach you about God’s character? And after the wind an earthquake; but the LORD was not in the earthquake: And after the earthquake a fire; but the LORD was not in the fire: and after the fire a still small voice. It is significant that the psalm in which the words “Be still” occur is filled with noise and commotion. The earth shakes, the waters roar and are troubled, the mountains threaten to tumble into the midst of the sea, the nations rage, the kingdoms are moved and the sound of war is heard throughout the land. Then a voice is heard out of the silence saying, “Be still, and know that I am God” ([Psalm] 46:10). So today we must listen till our inner ears hear the words of God. When the Voice is heard, it will not be as the excited shouting of the nervous world; rather it will be the reassuring call of One of whom it was said, “He shall not cry, nor lift up, nor cause his voice to be heard in the street” (Isaiah 42:2). The healing miracles of Jesus accomplished things that surpassed and were far more significant than the obvious, immediate benefit to those healed. First, they demonstrated He was the Son of God, since no mere man could do such feats. Jesus later instructed Philip and the other disciples, “Believe Me that I am in the Father and the Father is in Me; otherwise believe because of the works themselves” (John 14:11). Second, the marvelous healings revealed that God, through Christ, was and is compassionate to all who suffer: “Moved with compassion, Jesus touched their eyes; and immediately they regained their sight and followed Him” (Matt. 20:34). 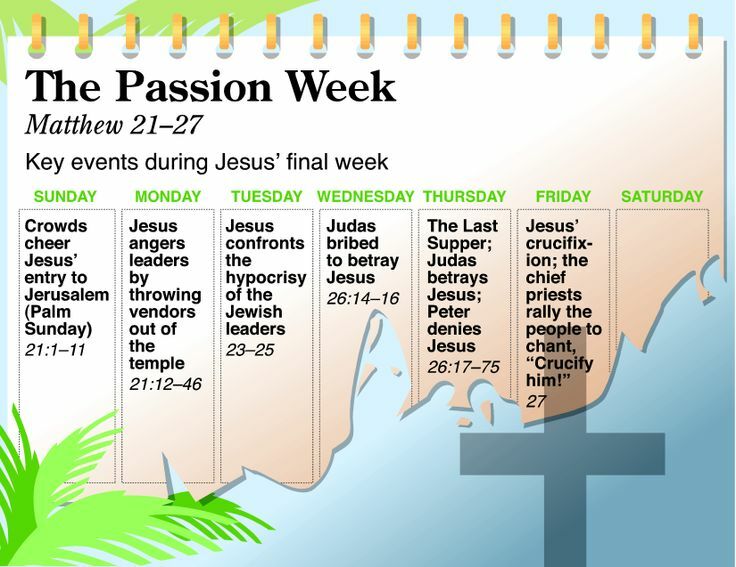 Third, Jesus’ healings proved He was the predicted Messiah of the Old Testament. Jesus directly told John the Baptist’s disciples, “Go and report to John what you hear and see: the blind receive sight and the lame walk, the lepers are cleansed and the deaf hear, the dead are raised up, and the poor have the gospel preached to them” (Matt. 11:4–5; cf. Isa. 35:5–10; 61:1–3). Finally, the healing miracles proved that God’s kingdom is a reality (cf. Matt. 9:35; 10:7–8). Perhaps even more marvelous for us is that Jesus’ healings were a foretaste of a future kingdom: “The eyes of the blind will be opened and the ears of the deaf will be unstopped. Then the lame will leap like a deer, and the tongue of the mute will shout for joy” (Isa. 35:5–6; cf. Ps. 96:10). Certainly, many in the “large crowds” came for what they viewed as a sideshow, an entertaining diversion from the humdrum. But are we often guilty of following while expecting nothing? Are you still willing to believe God for the unexplainable? Jesus answered…If a man love me, he will keep my words. Much of our full gospel literature and much of our preaching tend to perpetuate a misunderstanding of what the Bible says about obedience and Christian discipleship. The fact that we hear this everywhere does not make it right! To urge men and women to believe in a divided Christ is bad teaching—for no one can receive a half or a third or a quarter of the divine Person of Christ! Heavenly Father, You are a wonderful Savior and Lord deserving my full obedience to all of Your teachings. Forgive me, Lord, for the times that I’ve obeyed only a portion of Your Word. Show me the areas in my life in which I am weak. “… saints … who are in Philippi” (Phil. 1:1). As you give toward the needs of others, God will supply your needs. Perhaps more than any other New Testament church, the Philippian church was characterized by generous, sacrificial giving. Their support for Paul extended throughout his missionary travels and was a source of great joy to him. In addition to money, they also sent Epaphroditus, a godly man who ministered to Paul during his imprisonment (Phil. 2:25–30; 4:18). Similarly he wrote to the Thessalonians, “We did not act in an undisciplined manner among you, nor did we eat anyone’s bread without paying for it, but with labor and hardship we kept working night and day so that we might not be a burden to any of you” (2 Thess. 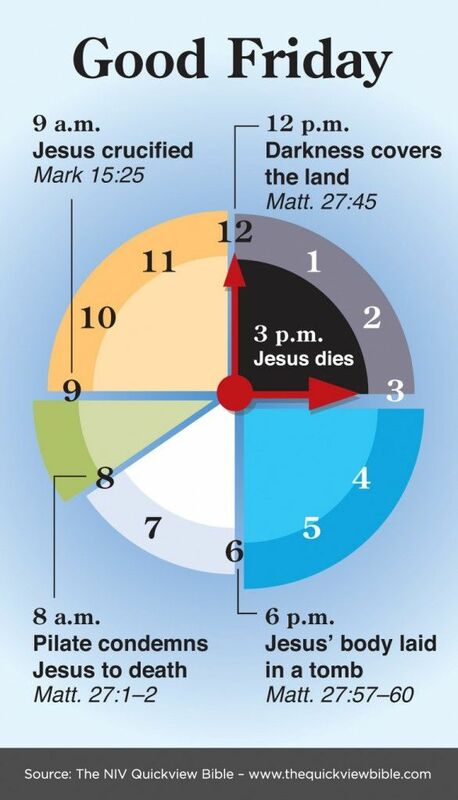 3:7–9). In contrast, Paul’s willingness to accept support from the Philippian church speaks of the special trust and affection they shared. Apparently the Philippians’ generosity was so great, it left them with needs of their own. Paul assured them that their sacrifices were well-pleasing to God and that He would supply all their needs according to His riches in Christ Jesus (Phil. 4:18–19). Like the Philippians, you should be characterized by generous, sacrificial support of those who minister God’s Word to you. 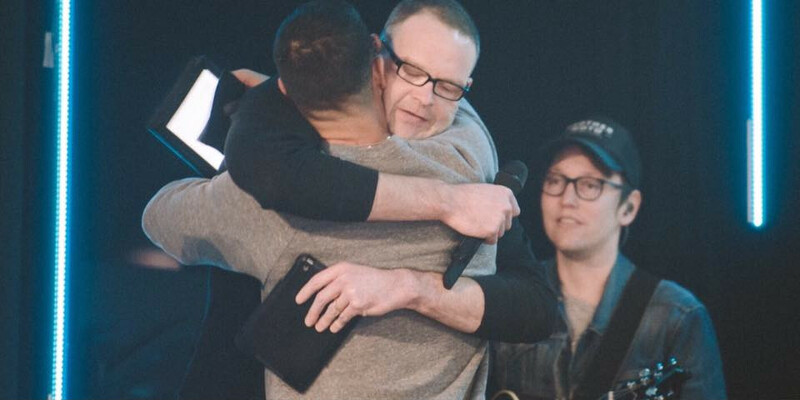 Faithful pastors and elders are worthy of such honor (1 Tim. 5:17–18), and generous giving brings joy to you and to others. Suggestions for Prayer: Thank God for those who faithfully minister to you. ✧ Ask for wisdom in how you might best support the financial needs of your church. For Further Study: Read 1 Corinthians 9:1–14, 2 Corinthians 9:6–14, and 1 Timothy 6:6–9. ✧ What attitudes and principles are reflected in those passages? ✧ How might you incorporate them into your financial practices? For the time will come when they will not endure sound doctrine …and they shall turn away their ears from the truth…. Any evangelism which by appeal to common interests and chatter about current events seeks to establish a common ground where the sinner can feel at home is as false as the altars of Baal ever were. Every effort to smooth out the road for men and to take away the guilt and the embarrassment is worse than wasted: it is evil and dangerous to the souls of men! One of the most popular of current errors, and the one out of which springs most of the noisy, blustering religious activity in evangelical circles, is the notion that as times change the church must change with them. Christians must adapt their methods by the demands of the people. If they want ten-minute sermons, give them ten-minute sermons! If they want truth in capsule form, give it to them! If they want pictures, give them plenty of pictures! If they like stories, tell them stories! Meanwhile, the advocates of compromise insist that “The message is the same, only the method changes.” “Whom the gods would destroy they first make mad,” the old Greeks said, and they were wiser than they knew. That mentality which mistakes Sodom for Jerusalem and Hollywood for the Holy City is too gravely astray to be explained otherwise than as a judicial madness visited upon professed Christians for affronts committed against the Spirit of God! MacArthur, J. (2001). Truth for today : a daily touch of God’s grace (p. 50). Nashville, Tenn.: J. Countryman. MacArthur, J. (2008). Daily readings from the life of Christ (p. 46). Chicago: Moody Publishers. MacArthur, J. F., Jr. (1993). Drawing Near—Daily Readings for a Deeper Faith (p. 50). Wheaton, IL: Crossway Books. This entry was posted in Daily Devotional Guide on February 7, 2017 by Truth2Freedom. Furtick & Noble – the unqualified restoring the unqualified. Notable former pastor and founder of Newspring church in Anderson, SC gave his tacit approval of alcohol consumption in 2013. Three years later, he was fired by his church for “falling into sin” with alcoholism. The elders of his church made the decision to terminate him from the pastorate. Less than two months later, after a 30-day alcohol rehab program, he claimed to be cured of his disease and vowed to return to ministry. This entry was posted in Reblogged Guest Post on February 7, 2017 by Truth2Freedom. Leaving the NAR Church: Heather’s Story.